I'm happy to present the second recipe in the new series from my friend and food blogger Kate Jackson, creator of Framed Cooks. We've collaborated to bring you some of the best egg recipes ever. This one involves making crepes and then filling them with fresh eggs and ham. Seriously? Yum. Now, see why I love Kate?!? 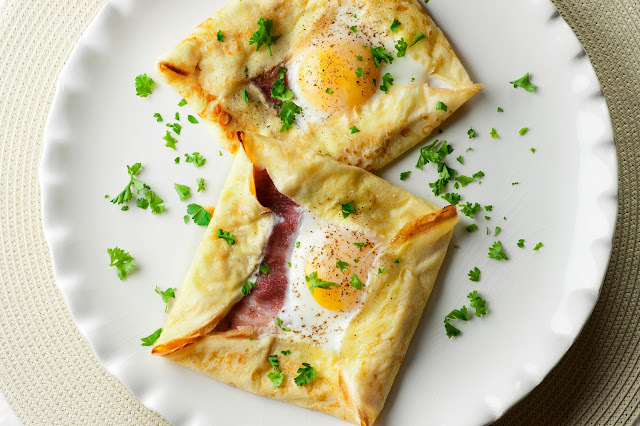 I hope you enjoy Kate's recipe for Fresh Egg Crepe Squares with Ham, and while you're at it, be sure to head over and follow Kate on her social media @framedcooks. Did I mention how drool-worthy all of her food photos are?